The approval system can be adapted according to the customer’s wishes. It enables various forms of absence (e.g., annual leave, doctor’s appointment, care for a family member, home office, etc.) to be defined and be set based on each corresponding entitlement. Each employee can have a different entitlement set. Each kind of absence is automatically recorded in the attendance report. The attendance controller does not have to record absences manually. 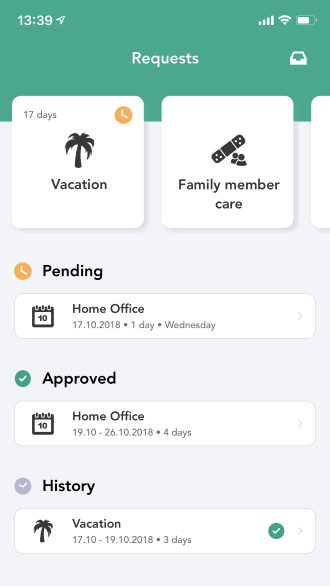 The approval system is available any time you may need it from any device connected to the Internet. 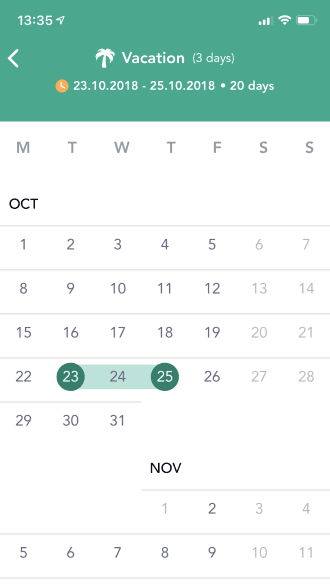 Request a leave of absence, or absence due to a doctor’s appointment with a few taps from your mobile device. 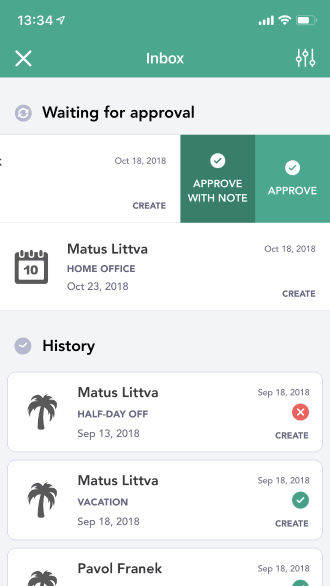 The application allows its users to have an immediate overview of the current entitlement for leave of absence and other absences. The request approval process is easy, and it won’t take more than 1 minute. An employee can create a new request with a few taps on the application. As a manager, you have all the requests in one place all the time and you can handle them immediately in several easy steps. As an applicant, you have the immediate overview of your current entitlement for absence and created requests. 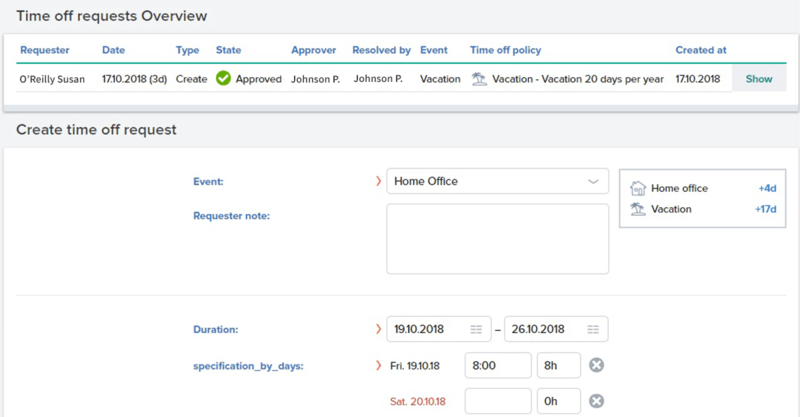 Request for approval of annual leave or a business trip in a few clicks through the web application, and you will be automatically informed about its handling immediately via e-mail. The manager is notified of a new request by e-mail. Requests awaiting approval can be handled immediately – by clicking on the corresponding button. 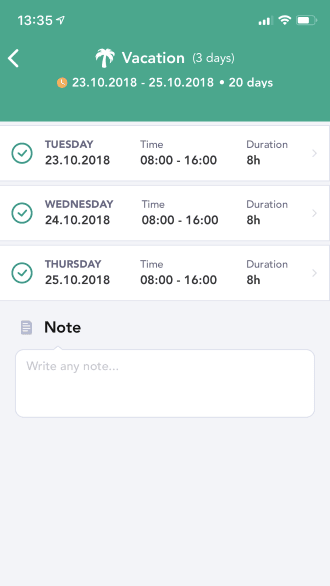 All kinds of absences are recorded automatically on the attendance sheet, which saves administrators from the obligation of filling in the absence manually. You can also benefit from the approval system through a mobile app. 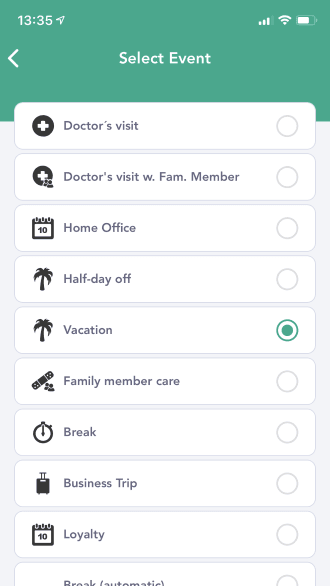 You have immediate access to the current remaining entitlement for absence, annual leave or doctor’s appointments, which you can solve quickly and comfortably in a few taps.